First of all, I want to thank EVERYONE who gave money to help support the Special Olympics of Mid-Missouri. If you are unsure of what I am talking about ... click here. 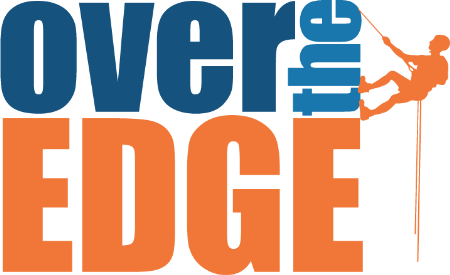 Ryan DID raise the $1000.00 and as able to "Repel Over the Edge." The deal was if you raised the thousand dollars, you would then get to repel over the edge of the Tiger Hotel. What fun! And here is the video. I am video camera challenged, so I just took the video on my iphone. After a VERY long wedding weekend, I have been spending the last couple of days on the couch. Bayler and I have been lazy, and it feels incredible! I think we are both incredibly exhausted, and it's nice to have a buddy to lay around with! Just wanted to give everyone an update on how my sweet boy is doing after his surgery. If you didn't know, Braeden had surgery to remove his tonsils and his adnoids. He has had a terrible time breathing, eating & with sleep apnea ... so this is a much needed surgery. Before you make these rash decisions, it's almost like you downplay if they even need the surgery at all, but after ... no hesitation. I would have made the same decisions 20x over. The surgery took about 2 hours. Braeden was pretty out of it for the first couple of hours, but we were able to be back with him while he started to wake up. Get this ... the doctor came back and told us that Braeden has the LARGEST adnoids and tonsils he has EVER seen! And this guy has been doing this for a long time. WOW, so, that right there told me we made the right decision. About 4 hours later you wouldn't have known that Braeden had surgery. We were trying to keep him calm, but that boy was all over the place. You could just tell that he felt SO much better. I will never forget the first time he was able to breath out of his nose. He can smell now, he eats for me (A HUGE STRUGGLE BEFORE.) But now I know it was because it hurt and he couldn't taste anything. Poor guy! But I am proud to say he is gaining some weight back, eating like a regular 3 year old, and overall is a much happier boy. I couldn't be happier! Here is Braeden after surgery. You can tell his little brother wanted in on some action :) Ryan's mom brought over a huge bean bag for the boys to crash on ... they love it! "I have carried a child within my body, I have comforted babies on my chest. I have kissed boo-boo's, mended broken hearts, been puked & peed on, woken up in the middle of the night to a feverish child and more. But I wouldn't have it any other way. 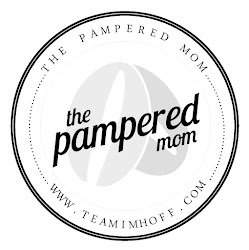 My body isn't magazine perfect, but ... when I look in the mirror, I see a mom and there is no greater honor or blessing." Recently I decided to "repurpose" some old furniture. Just to give it a little face lift, and to save ourselves some money. The first on the list was our "kitchen table." I say it like that because it's really a desk, that just fits into the space we have left in our kitchen. It was a light wood color, that I really just didn't like. In fact, I really don't like light colored wood at all. Here is a picture of the before table. It's a sturdy piece, so I thought it would be great to repurpose and paint white to go with our colors. Here is how I paint old furniture. There are a few steps, but they are all really important, so I don't skip any of them ... ever! But I am not a "pro" so if you don't agree with me, that's fine. I learn as I go anyways! If the piece of furniture is old or dirty, you really should clean it. Just soap and water is fine, but it's an important first step. 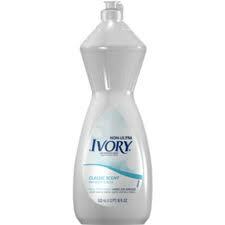 I use the Ivory brand, because there are no harsh chemicals, and it's really easy to use. "I used to use this at the fitness club I worked out for the machines, and so that's why I use it." I am lucky enough to have a husband that bought me a sander for Mother's day. 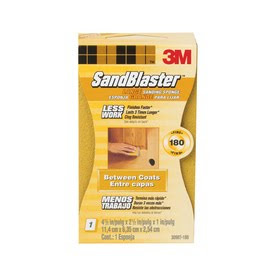 So it doesn't take me long at all to sand, BUT, if you don't', you'll need to go to Lowes or wherever and pick up some sanding sponges. They do wonders, and are not very expensive. The higher the number the softer the wood ... does that make sense? I usually use 150. 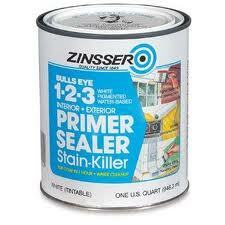 I always use Bulls Eye 1,2,3 Primer. It just works the best and coats the most. I will do at least 3 coats of primer, letting each one dry completely. Sometimes, this means overnight. I just REALLY want it to be perfect, and I have found if you skimp here, then if your paint should chip at all ... you'll see the natural wood. I love using flat latex paints. But that is because it will not leave air bubbles, it's easy to sand and I always use poly. I just think the flat paint sticks better, and looks better on the piece anyways. I usually always use Valspar from Lowes. ** When painting and priming, I use foam rollers. They will not leave brush marks or bubbles. BUT, after each time you paint/prime, you must sand. Use 220 sand sponges. This will leave the cleanest finish. You'll have to wait till the paint is completely drive, but when it is, just make sure you sand enough that all the imperfections are gone. I will usually put 3 coats of paint on each piece. Polycrylic Water-Based Protective Finish is what works the best for me. I have only tried one other brand (a store brand) and it left my white piece looking yellow. SO, in order to save you ... just use this kind. I always sand in between coats of poly too, but not the last one. You'll leave that last so that it's shiny and smooth. Like I said, I'm not a pro. These painting steps have worked the best for me and produced the best results. Let me know if you follow these steps for any of your furniture ... I would love to see pictures! Here is my new "Kitchen Table"
Since we are still laying low this weekend due to Braeden's surgery last week, we decided to have a Pizza and Movie night. and all cuddled together to watch movies. It was the perfect Sunday evening! Remember this post? Yeah, yeah yeah ... I just never got around to getting it done. It hasn't been that I'm lazy, or lost a direction ... it's just that I have been so freaking busy, and with no bed ... it just never happened. There was very little thought process a couple of weekends ago when my husband got up out of bed and said "I think we'll go buy a bed today." Ummm ... I'm so there. I wasn't even going to bring up questions, while he was in the buying mood ... I wasn't going to say a word! We did a little shopping around, found a few things we liked, but nothing that was "in stock and ready to go." 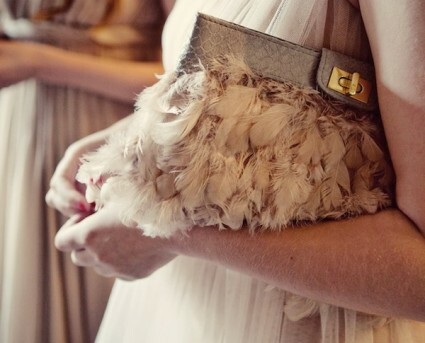 We would have to wait for at least a few weeks to get what we wanted, and let's face it, we're impulse buyers! So we came home with nothing, and just pretty much forgot about the bed shopping idea. A couple of days later, Ryan's Grandma called and said she was going to get a new mattress, that she had this mattress for almost a year and it was too soft, so she needed something else. Did I mention it was a king?? SO, back on the buying trail we went. And what do you know? We found the bed we would have drawn on a piece of paper if asked what we wanted. We found it on CLEARANCE, and then asked for $50.00 off of that since we could take it right away. It's brand new, beautiful, King & SO much better than a cold mattress on the floor! ps: don't look at the decor in the room .. blah, it's a work in progress! We are super excited over here at the Imhoff House. 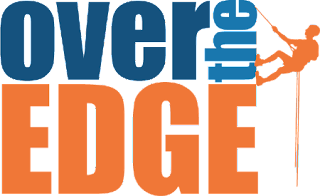 Ryan has been asked by Special Olympics to be a participant in the Over the Edge Competition. The idea is that individuals will try to raise $1,000 dollars to be able to repel down The Tiger Hotel. Each contestant that raises at least $1,000 dollars will be able to participate. We would SO appreciate your support. It's for a good cause, and Special Olympics is something that Ryan has always been passionate about. Plus, it's huge honor to have been asked. He is geared up, so help Ryan repel "Over the Edge." You can donate securely on his website thru Special Olympics at http://www.somo.org/ryanimhoff. Or you can just click here. What do you do when you fall in love twice at the same time?? 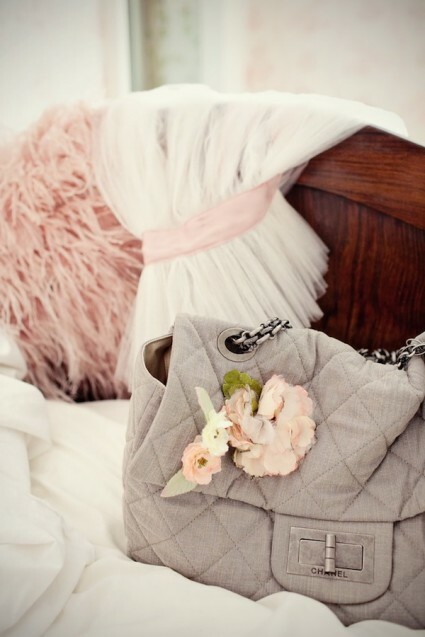 I have fallen head over heels for these two purses. And I have already placed an order for one ... any guesses which one will be at my house in a couple of days? Guess you'll have to wait and see!